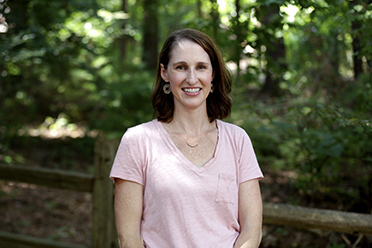 Meredith Daniels is the admission associate and has been at Carolina Day School since 2011. Her husband, Sam Daniels was class of 2001, and he attended CDS Pre-K through 12th grade. Sam’s mother, Meredith's mother-in-law, is the Upper School principal. Prior to her current position at CDS, Meredith worked as an administrative assistant in the Key School and was an event planner at a cheerleading and dance competition company. ”You can’t create a noisier environment than a cheerleading competition. The high stress environment of running an event on time and dealing with coaches, parents, athletes, and judges was a great experience that taught me a lot about people skills.” In her spare time, Mrs. Daniels is a photographer: www.meredithdanielsblog.com.